There would appear to be some very deep differences of opinion in the board at World Vision for these two statements to come out within a 48 hour period. They MUST have known the first statement would have resulted in the inevitable backlash that it did – surely they considered this? Which makes the second statement in such a short space of time so interesting. I’m sure there have been some pretty intense conversations over the past 48 hours. I’m sure they regret making the first statement. I can’t help but feel however it is a decision based on expediency rather than principle (I’m sure this is not true for all). But I’m sure the original decision even at these early stages resulted sadly in the loss of much support. At the end of the day many children would lose sponsorship, this whole affair is fairly tragic. I have supported World Vision since a child completing the Sponsored Famines and now as one of the African agencies with a sponsored child. In choosing to help support those in need however I do strongly look at not just the aid that is being provided, but the motivation and message that is being spread. As Gary Skinner from Watoto told me once, “We want to give a cup of cold water in the name of Jesus”. Justice is spread not just with physical redemption, but also spiritual “Jesus centered” redemption and for that to take place we do need a clear view of law, sin, repentance and the substitution of Jesus. What are your thoughts – do you choose to support an organization purely on physical aid or also because of the message they embody? 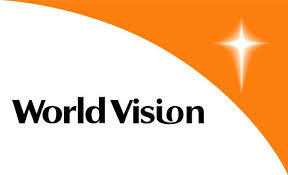 Image | This entry was posted in In the News and tagged World Vision. Bookmark the permalink.